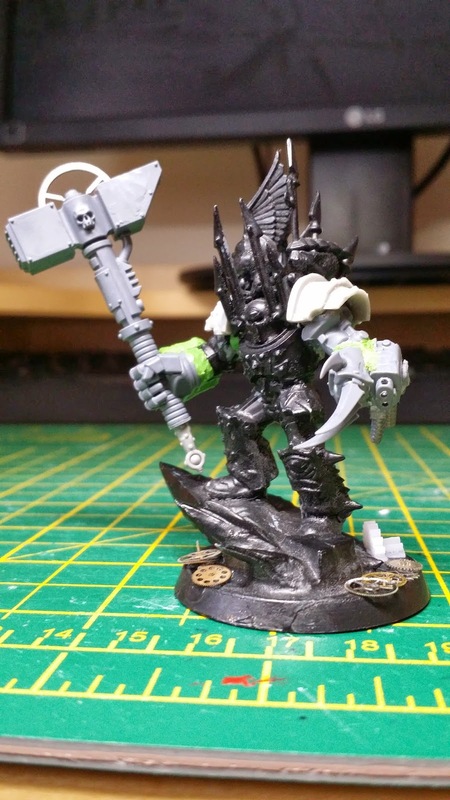 So I got this guy off ebay ready assembled and primed. Under closer inspection the primer is laid on really thick so I think I'll have to be careful when it some to priming the new arms. 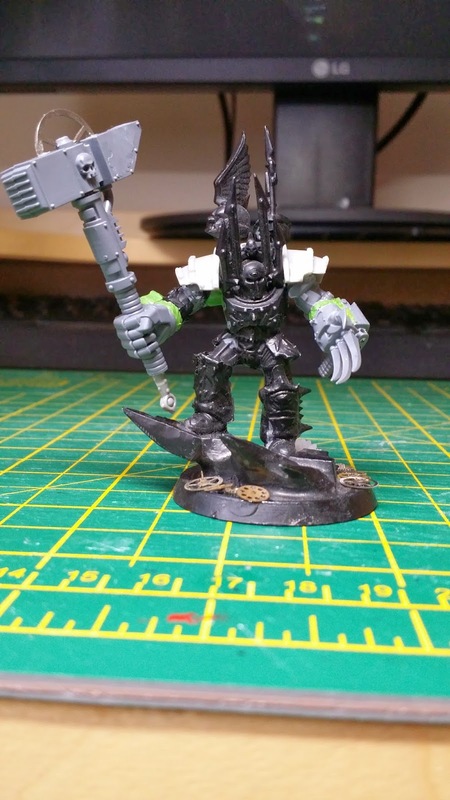 The hammer is from a dreadknight kit, and I built the power claw from some warp talon bits. 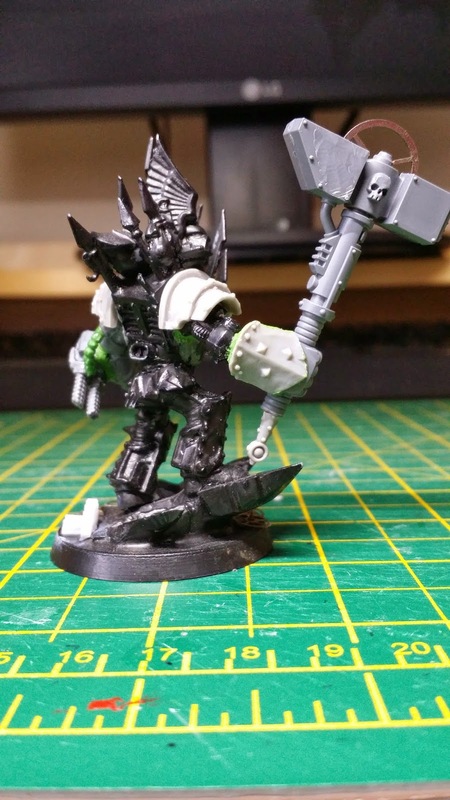 Like the terminators, the shoulder pads are from Anvil Industry. Looks pretty good I think!